Perfect for parents with busy schedules! 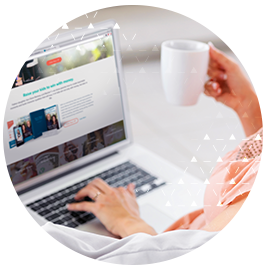 Your membership includes complete online access to the lessons and resources-everything you need to learn in the convenience of your home! Get started as soon as you receive your materials. You'll learn how to teach your kids the key principles of money by creating teachable moments in your family's everyday routine. You'll learn how to build your kid's character and give them a solid understanding of how money works and how to make wise decisions. Sign up for a free sneak peek to see the first two videos from lesson one! Your Smart Money Smart Kids membership has everything you need to get started! Six months of access to learn what you want, when you want! 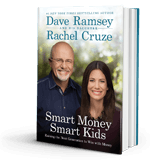 Watch and learn the six principle lessons for raising money-smart kids from Rachel Cruze and Dave Ramsey. Each lesson includes a corresponding character quality to help you raise your child to not only be money-smart, but also to learn important life skills along the way. Rachel and Dave give practical, age-specific applications for three age groups (3-5, 6-13, and 14-college). Join Sharon Ramsey as she shares stories from a mom's perspective. Enjoy applying the principles you have learned by doing these activities with your kids! They are fun, easy to implement, and specific to each age group. Talk to other parents in our commenting section on the lessons, videos, and activities and share ideas, sucesses and challenges in raising smart-money kids.